We were asked to clean these textured ceramic floor tiles in Wendover Bucks which had become heavily soiled and ingrained with dirt leaving the tiles with a black appearance, the grout lines had also become stained and discoloured. 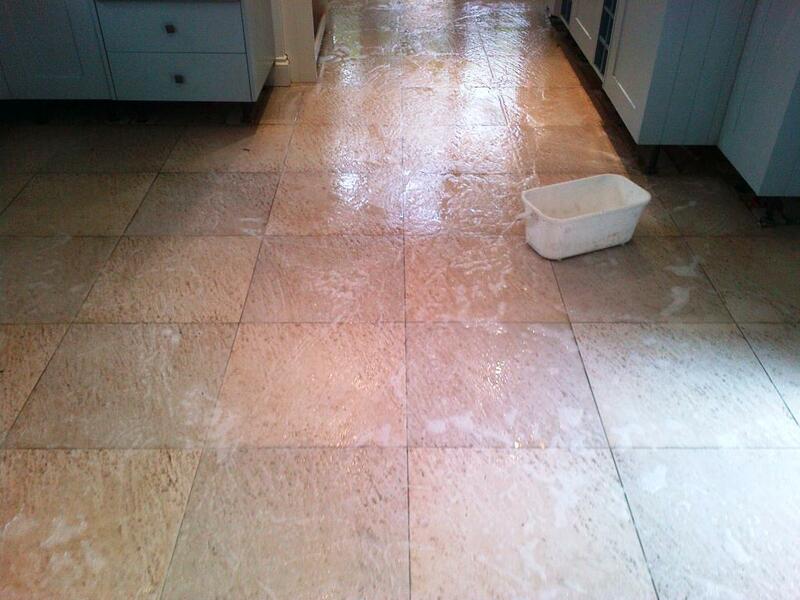 Our customer had tried all types of cleaning agents but could never get the desired effect. 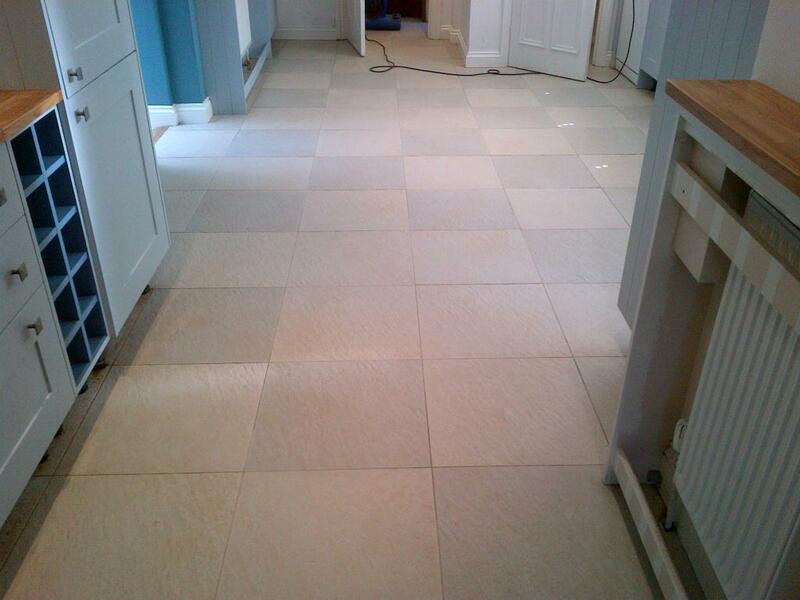 A dilution of Tile Doctor Pro-Clean alkaline tile cleaner was applied throughout the tiled floor and worked in with the aid of a scrubbing pad fitted to a rotary machine, a stiff hand brush was also used along the grout lines and this managed to lift most of the soiling from the floor. Next step was to use our powerful truck mounted heated turbo system which jet washed the remaining particles out of the crevasses of the stone. This system uses high pressure heated water though a spinner tool, it’s an amazing tool that returns the dirty water directly back to a recovery tank leaving the floor chemical free and neutralised. 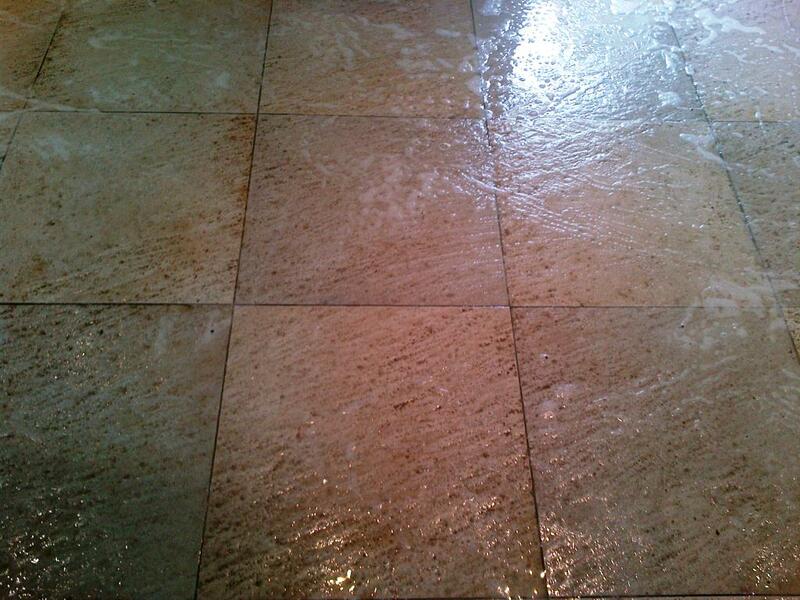 Before leaving I recommended to the customer that regular use of Tile Doctor Neutral Tile cleaner would help to keep their tile and grout in better condition. 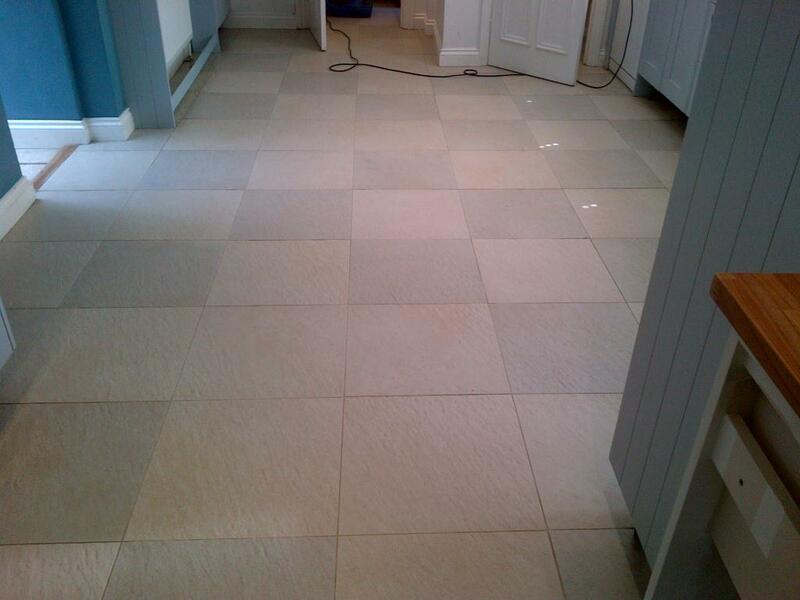 This entry was posted in Work History and tagged cleaning services, deep cleaning, floor restoration, grout cleaning, kitchen cleaning, south buckinghamshire, textured ceramic tile, tile cleaning, tile maintenance, tiled floor, Wendover Bucks by . Bookmark the permalink. Those high pressure spinner tools certainly save you a lot of time, especially on ceramic tiles.